Pancreatitis is an inflammation of the pancreas. Pancreatitis can be either acute or chronic depending on how long a person has had pancreatitis. Acute pancreatitis is an acute inflammation of the pancreas characterized by a short term illness and a quick recovery. Chronic pancreatitis is characterized by a permanent damage of the pancreas causing ongoing illness. What causes pancreatitis? 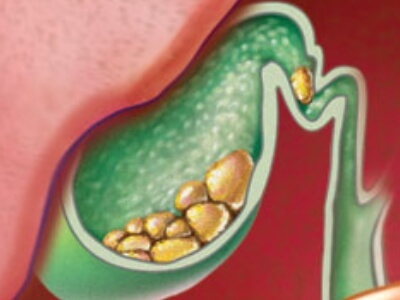 Gallstones are one of the most common causes of pancreatitis. They are stone-like materials which form in the gallbladder. If these gallbladder stones move out of the gallbladder, they can block the duct of the pancreas. Then the digestive enzymes produced in the pancreas, normally used to help digest food in intestines, become activated and start to digest the pancreas itself. However, not everyone who has gallstones will develop pancreatitis. How alcohol causes pancreatitis is not really known. However, it is well proven that alcohol consumption is one of the most common causes of pancreatitis. One of the theories believes that alcohol consumption interferes with the normal working of the pancreas, which will make the enzymes start to digest within the pancreas. It is estimated that people who consume more than 35 units of alcohol within a week have a four-time greater risk of developing pancreatitis than others. Trypsin is another answer to "what causes pancreatitis?" 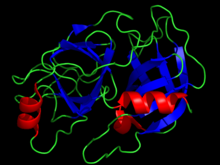 Trypsin is an enzyme produced in the pancreas. Normally, this enzyme gets activated until it enters the intestines. When it is activated while still in the pancreas, it will lead to inflammation of the pancreas. Note: All the above mentioned causes of pancreatitis are for acute pancreatitis. However, the causes of chronic pancreatitis are mostly the same. But chronic pancreatitis is sometimes caused by hereditary disorders of the pancreas. It is a short term medical condition with a quick recovery. Symptoms of acute pancreatitis include nausea and vomiting, swollen and tender abdomen, abdominal pain in its upper part, fever, and an increased heart rate. Most notable is the pain in the upper abdomen which tends to radiate into the back and gets even whore when eating, especially when eating foods that are high in fat. It has almost the same signs and symptoms with that of acute pancreatitis. However, the signs and symptoms of chronic pancreatitis tend to last for a long period of time. Patients suffering from chronic pancreatitis tend to have a constant pain in the upper part of the abdomen which radiates to the back. The severity of the pain varies from one person to another. Abdominal pain from chronic pancreatitis may be even disabling. Other signs and symptoms of chronic pancreatitis include poor appetite and weight loss due to the malabsorption of the food. Diabetes may also develop if the cells that produce insulin get damaged. What causes pancreatitis can also affects how it is treated. Treatment options are different for acute and chronic pancreatitis. Acute pancreatitis is treated in the hospital. Its treatment usually takes 5 to 10 days during which time you will be closely monitored and receive supportive treatment. 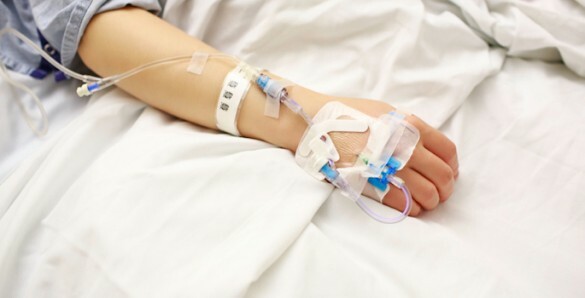 Intravenous fluids: Intravenous fluids are given to people diagnosed with acute pancreatitis as the body tends to become dehydrated. In severe cases of acute pancreatitis, it can prevent a serious complication known as hypovolemic shock. Nutritional support: When diagnosed with acute pancreatitis, you are advised to watch your diet, and sometimes you might be advised not to eat at all. The reason is that when your digestive system tries to digest solid food, it will put your digestive system and the pancreas itself under too much pressure. Therefore a feeding tube may be used in order to provide all the necessary nutrients to your body. Oxygen: Oxygen through nasal tubes may be needed in order to ensure that all your vital organs receive the necessary amount of oxygen that they need for their normal functioning. Painkillers: As the acute pancreatitis is often associated with severe abdominal pain, strong painkillers are often prescribed in order to relieve it. Sometimes, painkiller such as morphine is used. Enzyme supplements: Enzyme supplements are often necessary to improve the effectiveness of your digestive system. Dietary changes: Chronic pancreatitis affects the ability to digest certain foods, so a change in your diet might be necessary. You should consume diet with low fat but high calorie. Stopping smoking: If you do smoke, smoking can make your chronic pancreatitis worse. You should quit smoking immediately. Medications: Medications prescribed for the treatment of chronic pancreatitis include painkillers, insulin if diabetes develops, steroids in case of autoimmune pancreatitis, etc. Endoscopy: In some cases, endoscopy is used for the treatment of pain and for unblocking blocked pancreatic ducts. Surgery: Surgical treatment for pancreatitis is not often recommended. However, in cases when pancreatitis is associated with severe pain that is not responding to medication, a surgical removal of a part of the pancreas may help a lot. Surgical treatment is also necessary to unblock or widen a pancreatic duct. 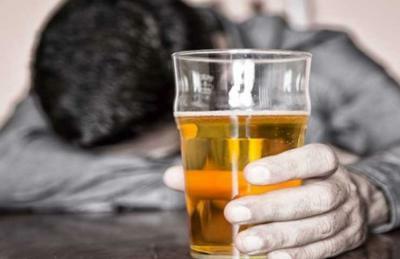 Treatment for alcohol dependence: Regular and excessive consumption of alcohol for many years can cause pancreatitis. If alcohol abuse is the cause of your pancreatitis, your doctor may recommend you receiving a treatment program for alcohol addiction. I Can't Stop Eating: Why and What to Do? Will Wearing Tight Pants Lead to Gas?